Outer order, inner calm. The feeling of a clean desk is energising and inspiring. Your workspace is clean, you are focused and ready to work! But how are you going to keep it that way? 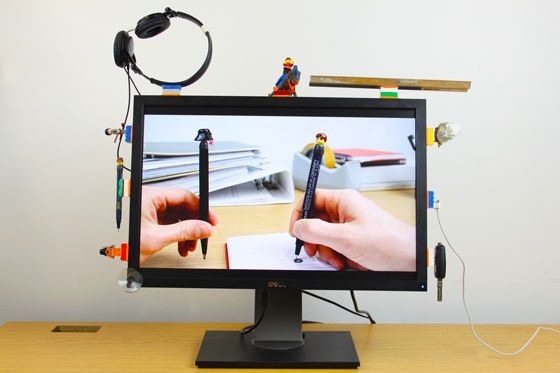 Watch this video for a great way to conquer spaghetti cable mountain and keep your desk clutter free with Sugru cable grips, ideal if you&apos;re a student in a new dorm room. This project is ideal for making the making the most of your space, whether you’re going back to school, moving into a new dorm room or just maximising the surface of your desk. You’ll be able to keep your cables organised and within easy reach at the same time! With this project, you can create two cable grips for each single-use pack of Sugru. Divide your Sugru in 2. Press 1 piece into a hemispherical shape. Rub the surface gently to make it smooth. Take a toothpick. Holding both ends,press the toothpick down into the Sugru until its close to the back surface. Gently twist to form space for your cable. Pinch the two halves of your cable grip close together (but not touching) and leave to set. In 24 hours, you&apos;ll be able to pop your cables in place, one-step closer to the ideal workplace — you&apos;ll feel refreshed and motivated knowing your cables are organised and out of the way, so you&apos;ll be able to spend more time focusing on your work. But why stop at cables? Head over here for loads of ideas to keep your workspace tidy. 1. Sugru + Lego = a tidy desk... awesome! Warning: this one may cause excitement! Use Lego to make the most of your space, and keep your stuff out of the way but within easy reach. 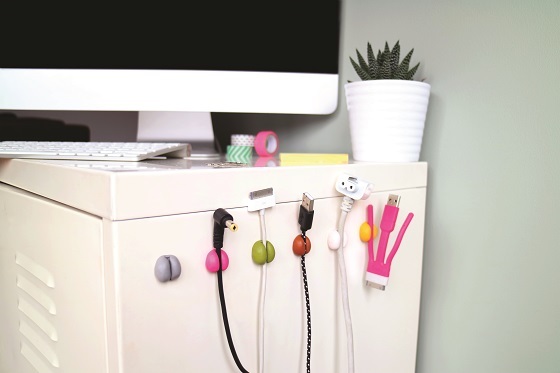 Stop fumbling around behind your computer for the USB ports, and make them easily accessible with this great idea using Sugru + magnets. Conquer cable spaghetti mountain! 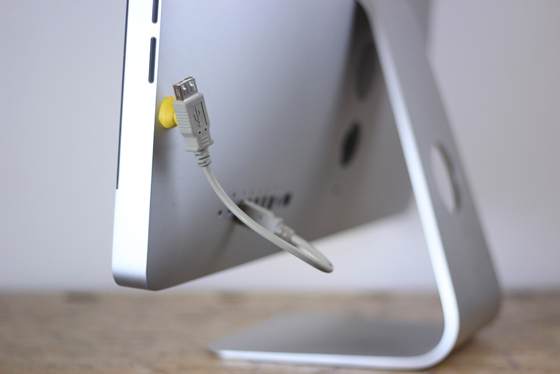 Keep your desk clutter-free and add a cable extension underneath your desk using Sugru. We love this idea from Ivan on Twitter. 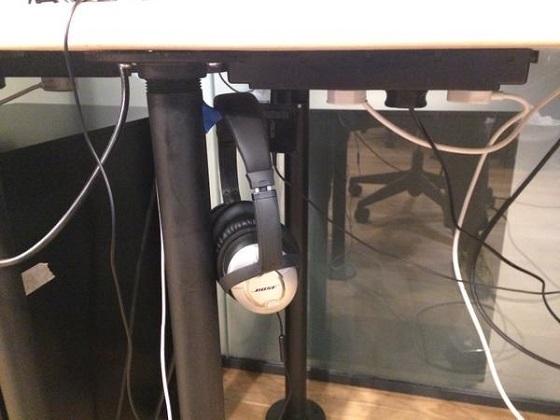 Add handy Sugru hooks to your desk and keep your headphones out of the way, but within easy reach. A great idea for organising your stuff and keeping it safe from damage while not in use.